For most people, if we see a spider in our house, our first thought is to get rid of them by any means possible. Well, perhaps you should be letting them stick around. While we may be terrified of them, or merely think they are gross, spiders are actually quite handy to have around. Spiders capture other pests and kill disease-carrying insects that could end up doing you harm. If you absolutely won’t have them in your home, releasing them is the best option but to be honest, having a few around sitting in the corner of the room aren’t going to hurt anything. Researchers have actually found that most of the spiders you would find in your home are completely harmless and go without being noticed. One house could have hundreds of arthropod species within it all without you even noticing them. When it comes to mere cobweb spiders and cellar spiders we shouldn’t be making much of a fuss over them. Although they are generalist predators, apt to eat anything they can catch, spiders regularly capture nuisance pests and even disease-carrying insects — for example, mosquitoes. There’s even a species of jumping spider that prefers to eat blood-filled mosquitoes in African homes. So killing a spider doesn’t just cost the arachnid its life, it may take an important predator out of your home. It’s natural to fear spiders. They have lots of legs and almost all are venomous – though the majority of species have venom too weak to cause issues in humans if their fangs can pierce our skin at all. Even entomologists themselves can fall prey to arachnophobia. I know a few spider researchers who overcame their fear by observing and working with these fascinating creatures. If they can do it, so can you! 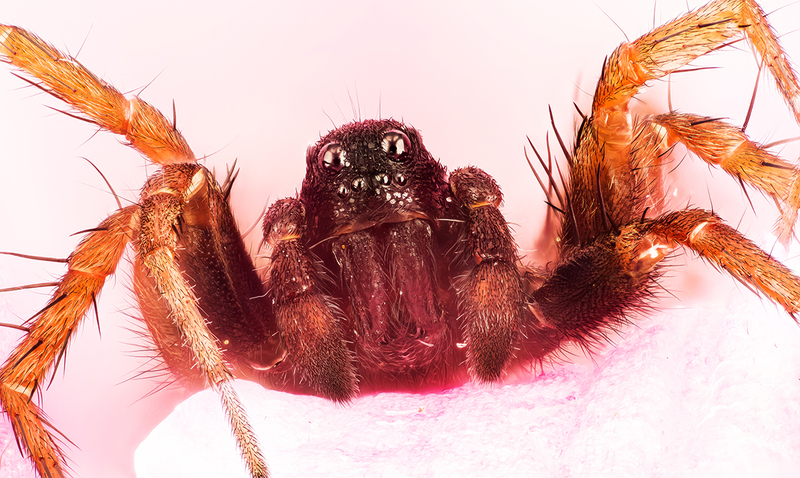 Spiders serve a purpose, learning to live alongside them could be extremely beneficial. What do you think? Could you see a spider and go without removing it?